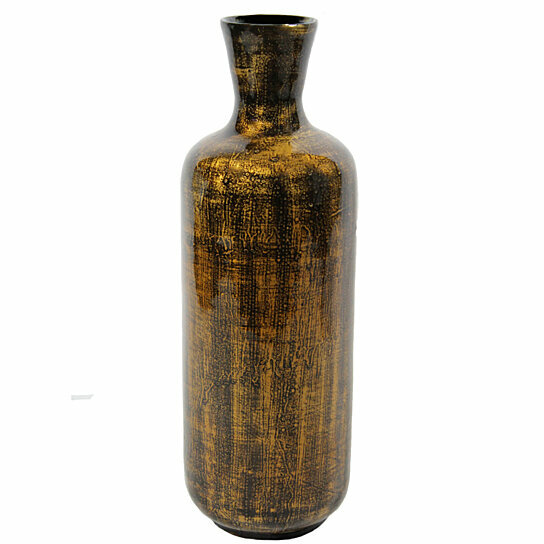 Demonstrate your unique taste of art by grabbing this vase that speaks volumes about grace. It features a circular aperture at the top with cylindrical body and circular base at the bottom. Made from quality materials it promises to last for multiple years. In copper finishing it flaunts an antique look that makes it worth grabbing. Adorned with colorful vibrant flower stems this vase is a graceful addition in your interiors. You can keep it besides a couch or a big painting in the living space. Even it can be used to instill a sweet ambience inside your bedroom by keeping it on a bedside table. You can wrap it up and turn it into a memorable gift for your close ones. Maintain it nicely by wiping it with a clean cloth. So why wait? Just grab it!